As the sky brightens over San Francisco, two thousand nervous athletes board the sternwheeler San Francisco Belle. In sleek neoprene wetsuits, the competitors look out of place on this sumptuously appointed former Missouri riverboat casino. 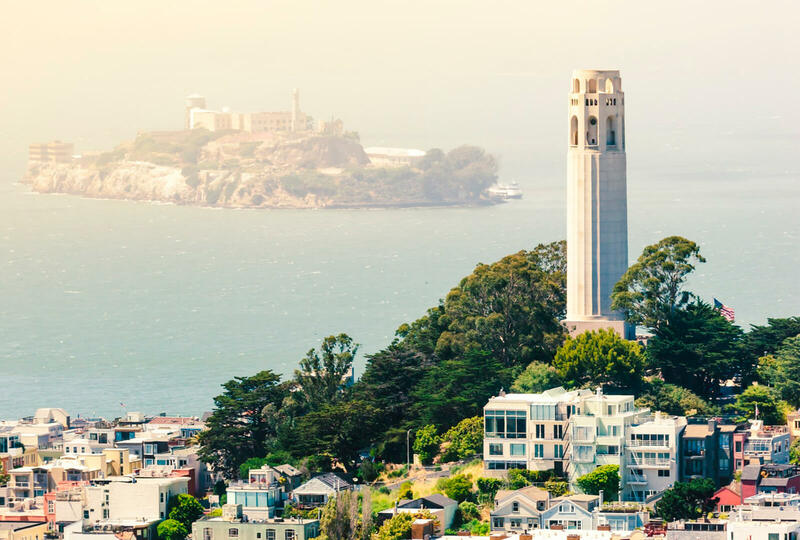 It’s the morning of the 2017 Escape From Alcatraz Triathlon, and they’ve come from 50 states and over 40 countries to swim, bike and run through the picture postcard that is the San Francisco waterfront. The plan is this: the Belle will transport her jittery cargo to Alcatraz Island. There, the athletes will leap off the deck for a mile and a half swim to the city shoreline. They know the water temperature this morning is in the low-50s and they know how to swim against the strong tidal currents that will pull them off-course towards the Golden Gate. But the wild card today is the wind and accompanying waves, both of which are ominously beginning to pick up. The athletes aren’t the only ones who are nervous this morning. Up on the top deck, three event organizers huddle around a phone, negotiating with the Coast Guard. They gauge the increasing winds and changing course conditions. There’s a terse exchange of words. With the wind speed rising, tough decisions have to made quickly. On the other side of the ballroom, Steve Katai, senior event manager for CytoSport, sits waiting for the Belle to disembark. He’s one of two CytoSport employees racing along with sponsored pro triathlete Mauricio Mendez today. In 2004, Muscle Milk became the event’s marquee brand, providing protein shakes for recovery for all athletes at the finish line. CytoSport began sponsoring Escape from Alcatraz in 1998; in 2004 Muscle Milk became the event’s marquee brand. Among other major races like the LA Marathon and the XTERRA triathlon series, Muscle Milk also sponsors more than 350 annual athletic events around the country. Katai hasn’t put on his wet suit yet, and has a beanie pulled low over his ears. His eyes are bright with a mix of excitement and nerves. This isn’t his first Escape from Alcatraz Triathlon, but he’s betting it will be his first complete one. “Funny story!” he says with a smile. “I raced in 2012, but when I came out of the water and went to get on my bike, it was gone!” In its place, he found a note from race organizers saying that his bike wasn’t up to code. The bike in question was an old beach cruiser he had borrowed from a local friend. Triathlons have plenty of rules to prevent modifications from giving competitors unfair advantage. None of these were at issue with Katai’s clunker. But there are other rules about the maximum width of a bike’s handlebars and having brakes on both wheels. Race officials clearly didn’t see his choice as an advantage—more like a hazard for other riders. He was basically planning to race a pickup truck in the Indy 500. Katai’s story is cut off by an announcement from the ship’s loudspeaker. 2017 Escape from Alcatraz Triathlon swimmers aboard the Belle. Eyes widen around the room as the athletes look at each other in disbelief. The tension that has been building on the boat for the past hour vaporizes. Some are visibly crushed, others clearly relieved. The announcement is made again, and it starts to sink in. “This is not our choice, but this is for safety,” says the voice from the loudspeaker. “So at this time please exit the vessel. The buses are on their way. Get on the buses, go back to transition. Stay by your bike.” Even as a former casino, the Belle has rarely unloaded so many unlucky passengers. The 37th annual Escape from Alcatraz isn’t a triathlon anymore. Organizers prepare contingencies for anything nature throws at the course. Race organizers have a plan A, B, C and D, according to James Leitz, the senior vice president at IMG Worldwide, which produces the event. This is the first time Leitz’s team has not gone with plan A. They tried to get the Coast Guard to permit a shorter swim, but the conditions were simply too dangerous. So the racers are bused to Marina Green, where their bikes are waiting. They’re scattered across the transition area in various states of half-dress, stripping off wetsuits and pulling on spandex. Most are hunting for their bikes and trying to figure out when and how the race will start. Normally the swim staggers arrivals, but now all the athletes are here at once. Event organizers pivot to a time trial start. The test for them is to get 2,000 racers safely on their bikes, out of the transition zone, and onto the course. They send bikers off five at time at fifteen second intervals—even at that rate, many competitors are still waiting to begin as the pros return to jump off their bikes and begin the run. It’s really a message for life. Adversity will hit you and it’s how you adapt to it. A few bikes down, Desmond Ng is also suited up in stripes. He travelled all the way from Singapore to participate. “So sad,” is all he says. To ease the disappointment, race organizers have guaranteed spots in next year’s event to all the participants who missed this year’s swim. It is a difficult ticket to get, mostly based on a lottery system, and it was hard to find an athlete who wasn’t planning on coming back. Lauren Goss, a 29 year-old from Colorado, unseats last year’s champion, Great Britain’s 27 year-old Holly Lawrence for this year’s title. Muscle Milk also sponsored a “Collegiate Escape” where college teams of five competed for best combined finishes. The University of California Berkeley takes that prize, beating ten other teams. 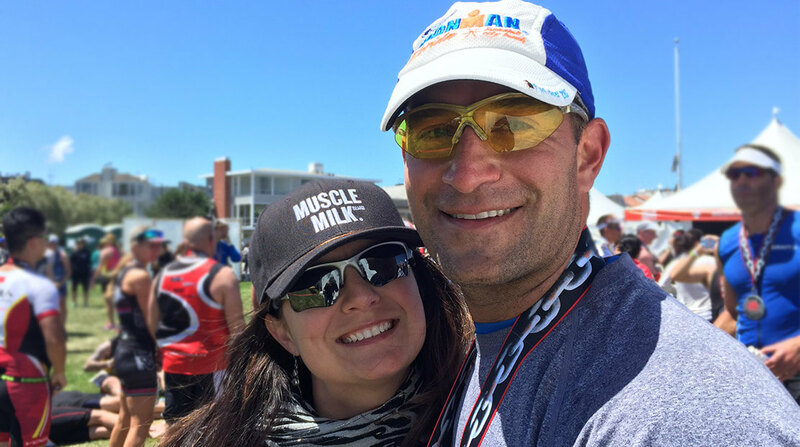 Steve & Noelle Katai at the 2017 Escape From Alcatraz Triathlon. By noon, the Marina Green is swarmed with sweaty, thrilled athletes. Uptempo music pumps from big speakers, and the announcer can barely keep up with the finishers streaming across the line. Over Claibourne’s shoulder, Ng from Singapore strides across the finish with a sweaty grin and his arms raised in the air. 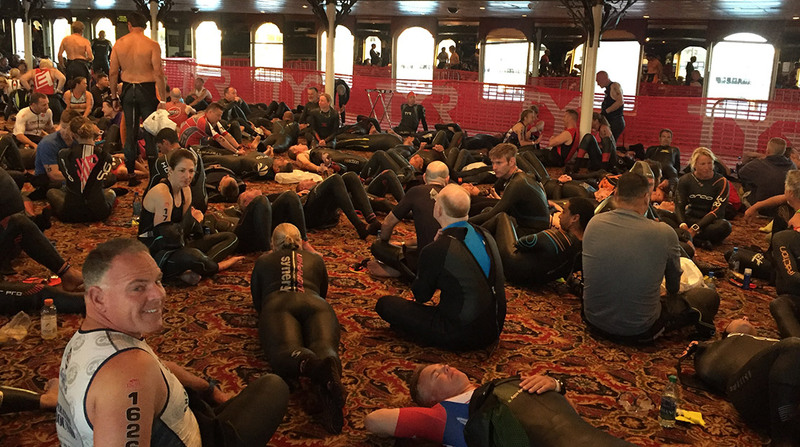 Some athletes grumble that the heart of the event, the epic swim from Alcatraz, got ripped out. Looking out at all the winded, flushed athletes, it’s clear that the real core of the triathlon is this—two thousand people willing to test their physical and mental limits against a challenging course. Katai is in for sure. He’s now two for two in incomplete Escape races. For him, this is unfinished business. On April 15, 2019, Hormel Foods Corporation completed the sale of the CytoSport business to PepsiCo, Inc. The transaction included the Muscle Milk®and Evolve®brands. For more information on CytoSport and its brands, please visit www.pepsico.com.